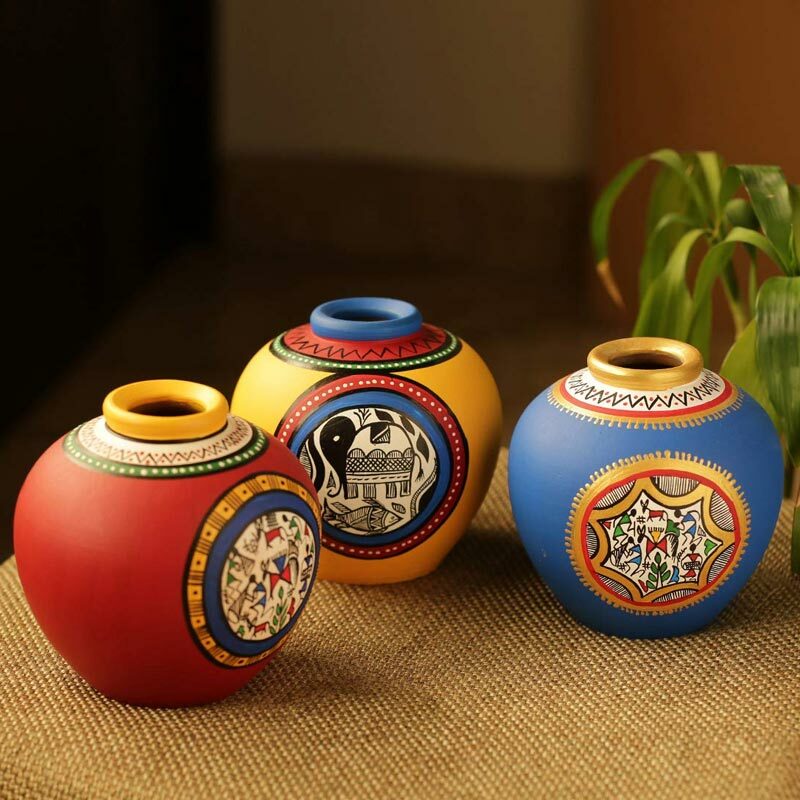 A set of 3 beautifully handcrafted terracotta vases handpainted with a patch of beautiful Warli art & Madhubani art in contrasting colours. 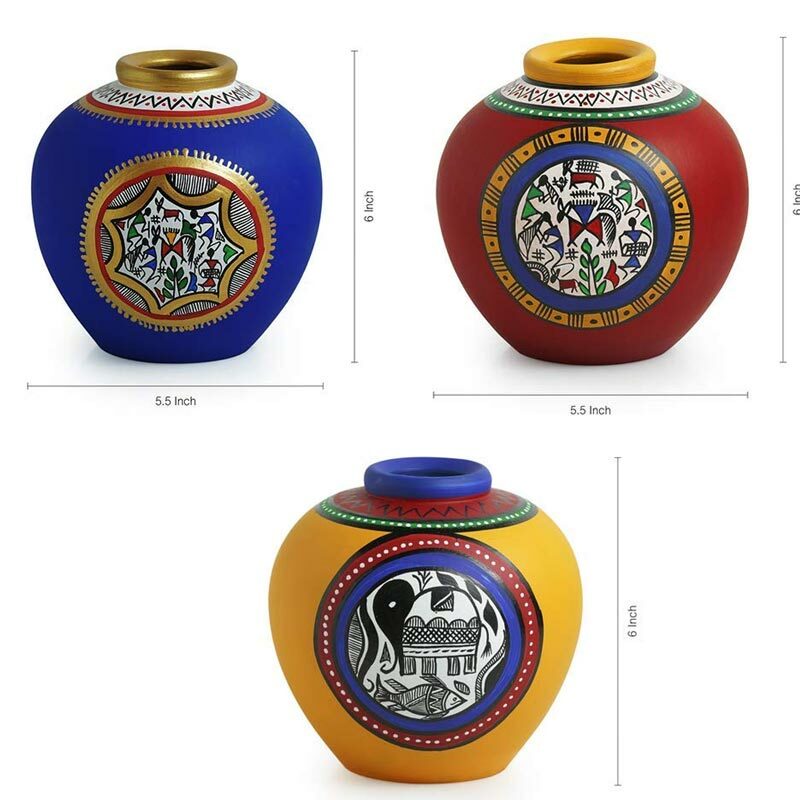 This elegant combo set includes 3 Terracotta Vases in the shape of a MATKI in 3 bright colors. Handcrafted from Terracotta, this set makes a unique and eye catching decor.